Note: To use your SONOS you will need to have 4Network enabled on your account. 4Network is part of the 4Connect-Plus add-on. If you don’t already own the 4Connect-Plus add-on, please follow the instructions to purchase this here. For the smoothest setup experience, please follow our guide before powering on your new SONOS speaker. On the bottom of your SONOS will be a MAC address. This will be a 12 digit code, with each pair of digits separated by a hyphen, e.g. 11-AA-BB-22-CC-FF. You’ll find an extra 13th digit at the end. Please ignore this. The image below has the MAC address highlighted in green. 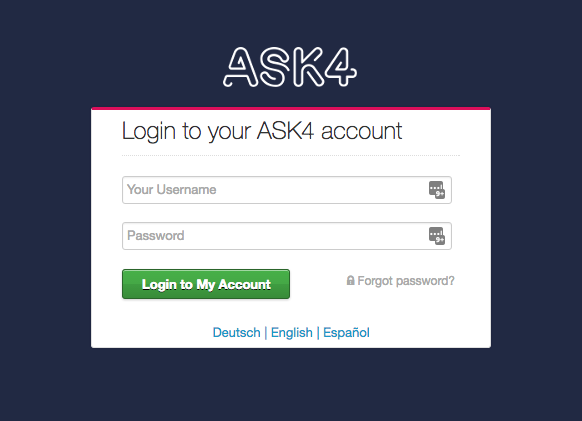 Next, go to myaccount.ask4.com and log in to your ASK4 account. If you don’t already own our 4Connect-Plus add-on, please follow the instructions to purchase this here. From here, click the slider switch to enable 4Network. 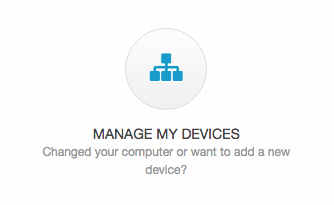 Now we just need to add your SONOS to your account by clicking the blue Add New Device button. Now enter a name and the MAC Address we took from the bottom of the SONOS, then click Add New Device. Connect the Ethernet cable which came supplied with your SONOS to the wall port in your room and then to the back of the SONOS. Using a wired connection will provide a much more stable connection, ensuring a trouble-free listening experience. You will also find the setup process using wired much easier. 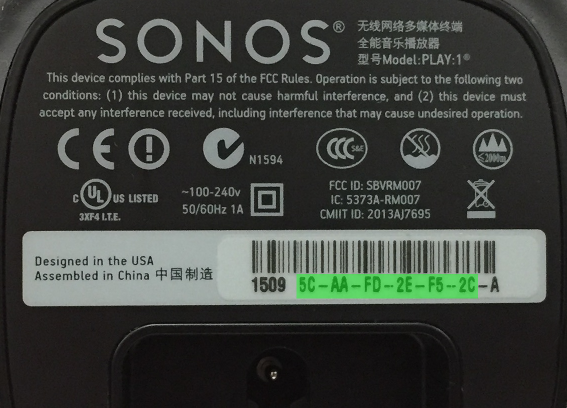 If the location you would like to keep your SONOS is not near your network wall port, you can still connect it to ASK4 Wireless, however a wired connection is recommended. Download the SONOS app for the device you would like to set it up with. Switch on your SONOS and follow the instructions with the app to get connected.